I find myself browsing through Pinterest decor inspiration in absolute awe, mainly due to the desperation yet inability to move out. I can only dream of decorating an entire property yet in reality I only have my small bedroom to play around with. One key area in my bedroom I have become obsessed with is my vanity area. You may have seen what it currently looks like on this post, as much as I love it, it isn't perfect as I have to think practicality rather pretty. 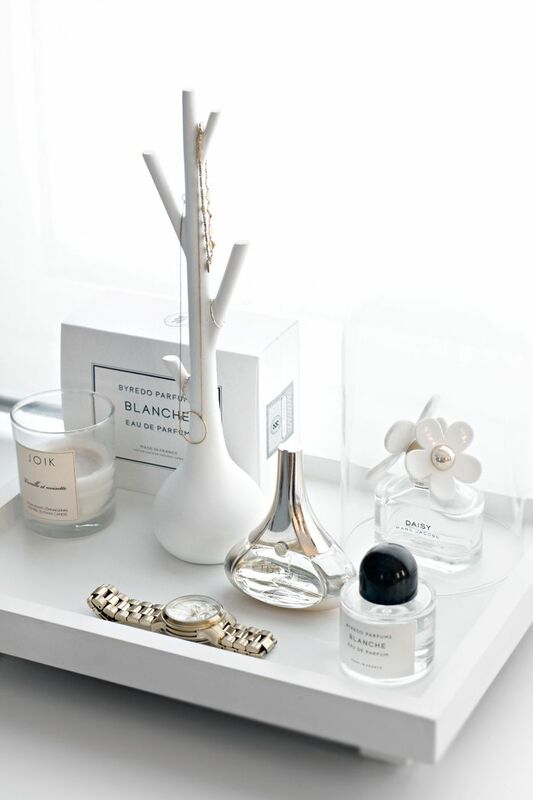 I love white and neutral tones so it always looks clean and modern. 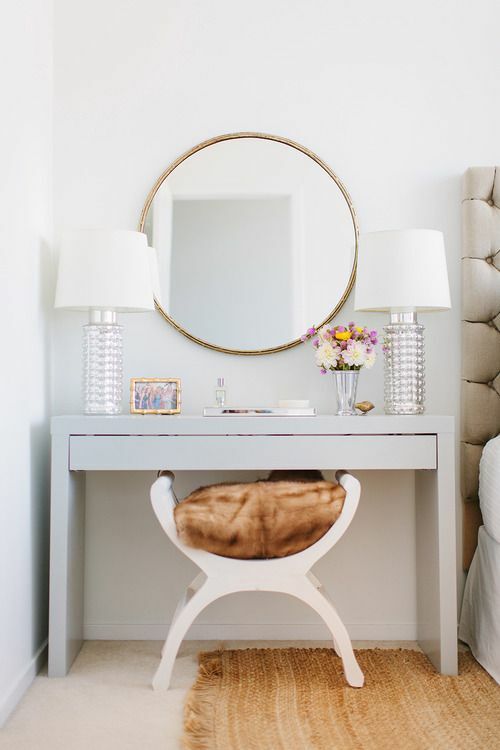 Big circular mirrors are a must for my idea vanity area as they frame the whole area in comparison to the use of rectangular dressers, the shapes tend to work well against each other. 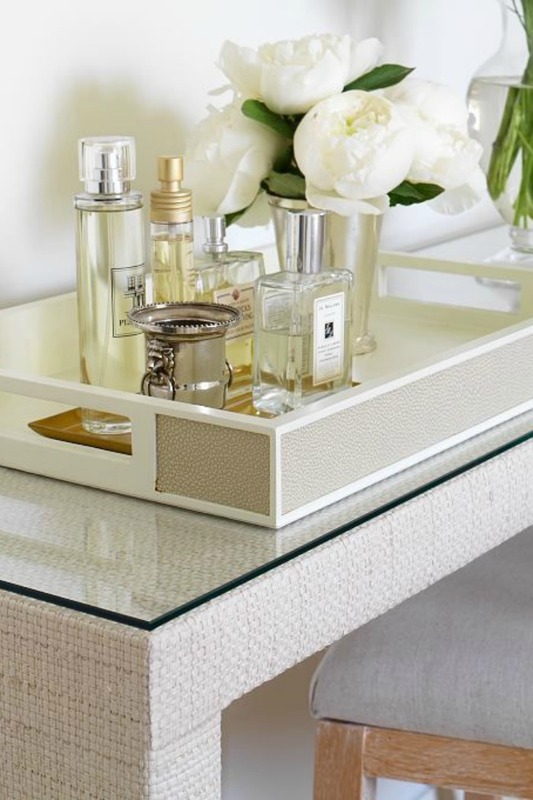 I also despise clutter, the use of vanity trays with organised items such as perfumes and jewellery can give it a nice touch without the table being crowded. Oh, and let's not forget to have a vase of flowers too. 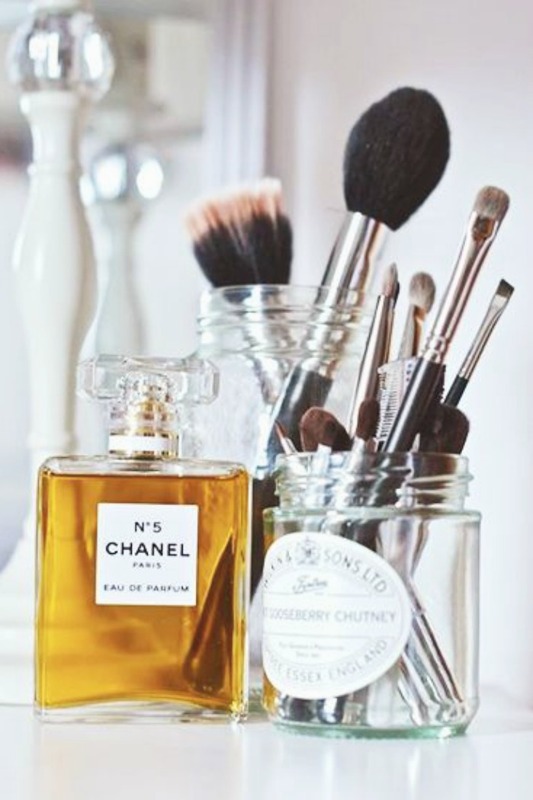 What would your dream vanity area look like? Do you like these type of home inspiration posts?